Despite the often-impenetrable language problem, we’re always keeping an eye on the Japanese custom scene. 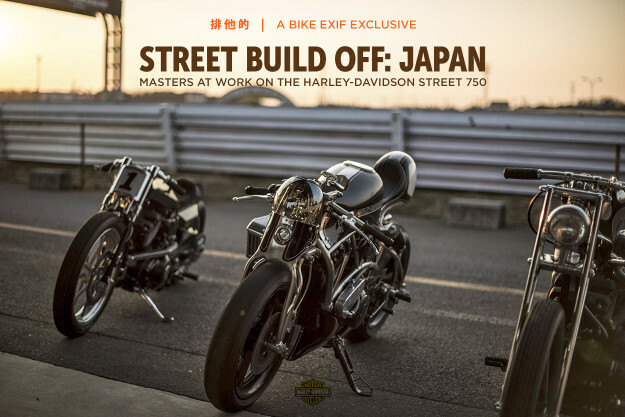 Even though the Western ‘alt moto’ scene is exploding, the top-flight Japanese builders are still setting the pace. 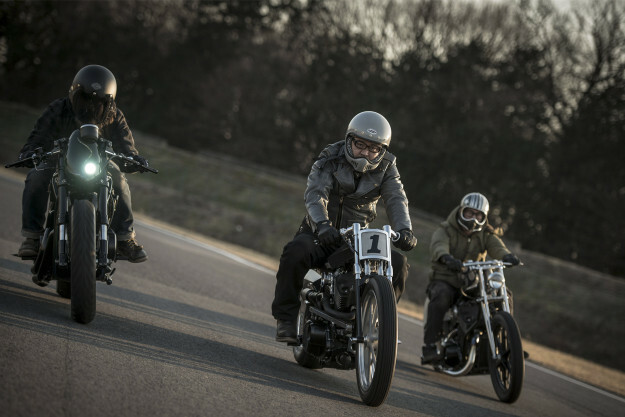 In Japan, Harley-Davidson has been running the same dealer-based Battle Of The Kings contest that we’ve seen in Europe. But it’s the Street Build Off competition that has made our jaws hit the floor. 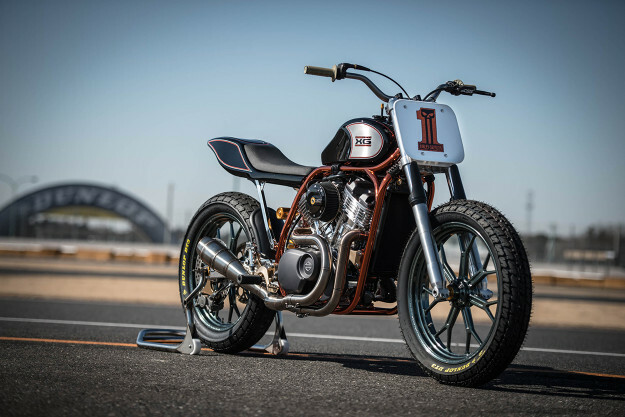 Five of Japan’s top custom workshops were given free reign to tear into the Street 750, and the results are frankly incredible. The judges were Brad Richards, Harley’s design director, Frank Savage, a Harley styling manager, and industrial designer Dais Nagao, the only Japanese member of Harley’s design studio. 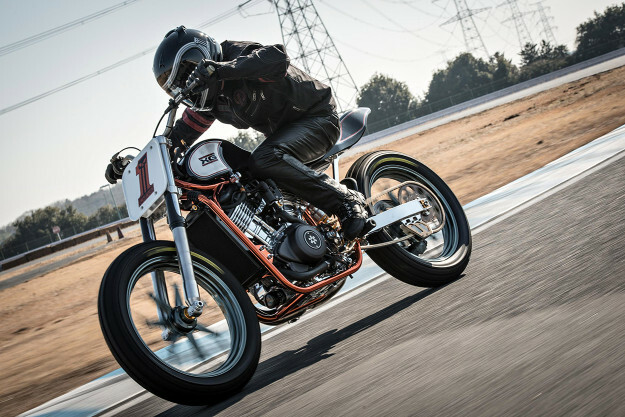 BIKE XG750 Flat Tracker BUILDER Hideki Hoshikawa, Asterisk. None of these builders will stop at anything to get the effect they want, but Hoshikawa has gone to the ultimate extreme—building a complete new cro-moly frame. The suspension gets an upgrade too, with classic 43mm Ceriani forks up front and a cutting-edge Öhlins TTX GP shock out back. 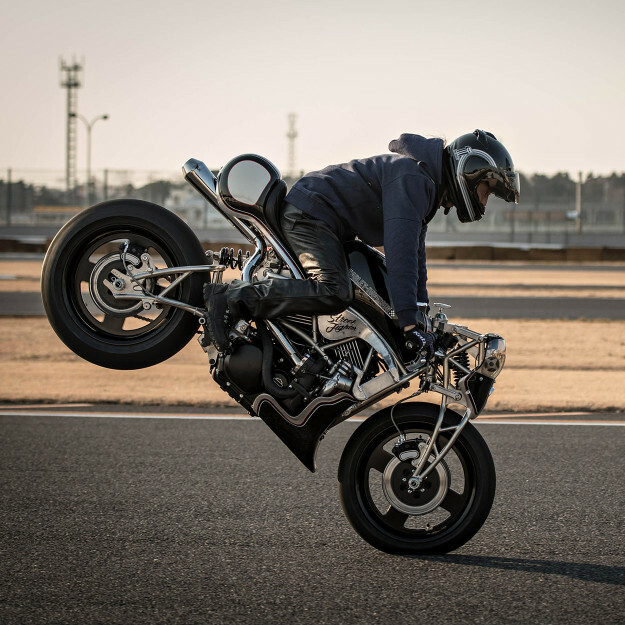 The wheels are Roland Sands’ increasingly popular Del Mars—19 inches both front and back—shod with Dunlop DT3 race rubber. 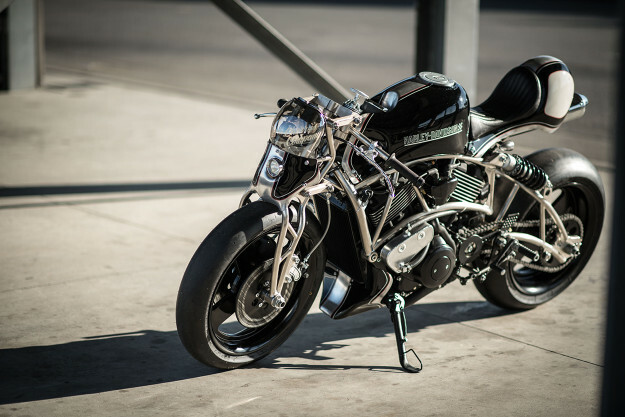 We’ve already covered Cherry’s XG750 Street 750, and it’s still one of our all-time favorite custom builds. The one-off bodywork is inspired, but only the icing on the cake—virtually every part is a one-off. The girder fork is custom made, and so are the bars and even the wheels. But the most radical mod is to the engine: it’s turbocharged, complete with intercooler and all the attendant piping. A true tour-de-force of custom building.